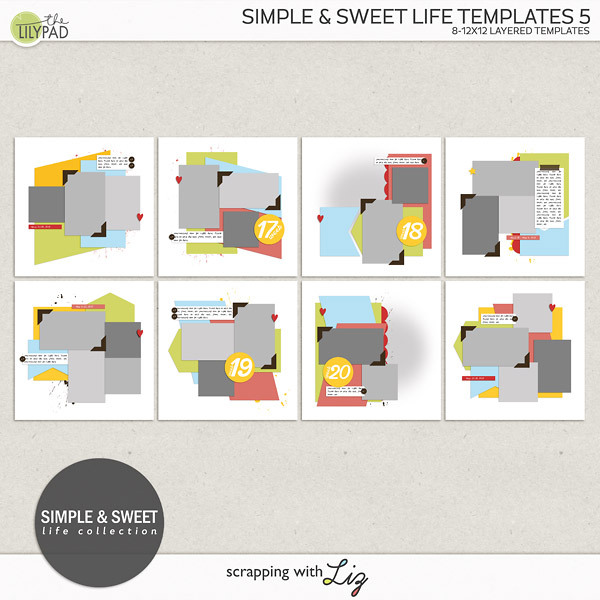 Scrapping with Liz: 2015 Week 8: More Snow! We thought we got snow last week. Ha! This week we had two days of quite a bit of snow. Last week it was more like snow/ice. This week was the real deal. 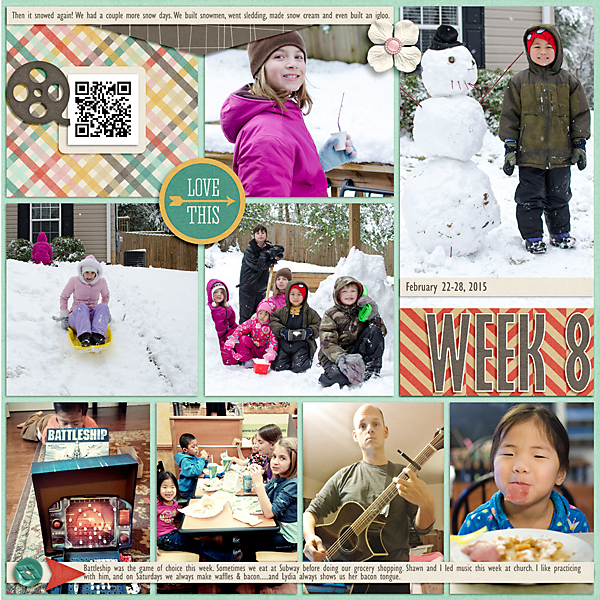 I let my kids relax more on their school work, and we had a ton of fun in the snow. The day before one of the snows we went for a hike, it was so nice and sunny outside. I don't know about you guys, but when we are snowed in we build tents. Friday night I let the kids sleep in it. What a memory! 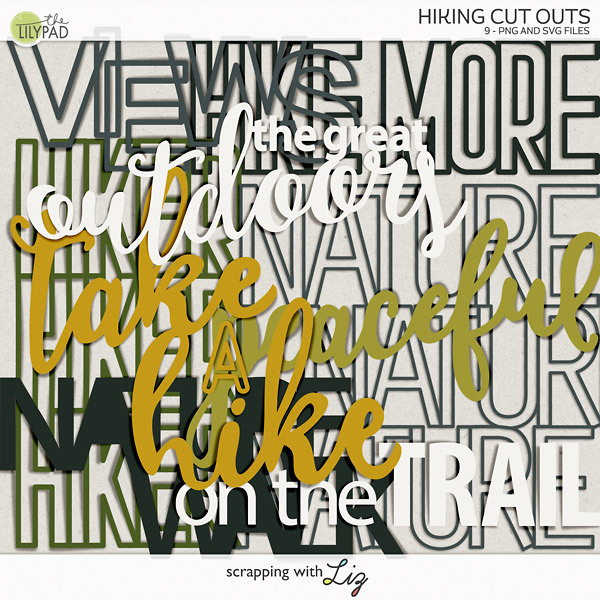 Have I mentioned that I love scrapping these weekly pages? 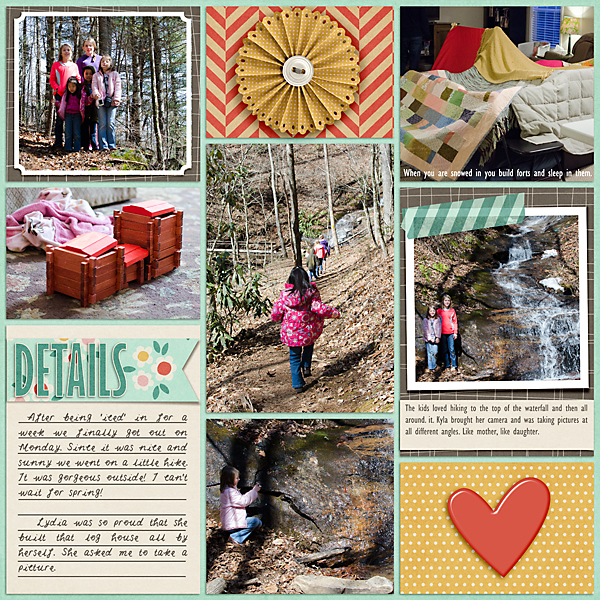 I love sitting down on Saturday night and looking through our week in pictures. It just makes me so happy. Plus it keeps me caught up on organizing my photos and videos, and I know at the end of the year I'll have a family album to print. Anyway, enough chatter. Take a closer look below if you want to. 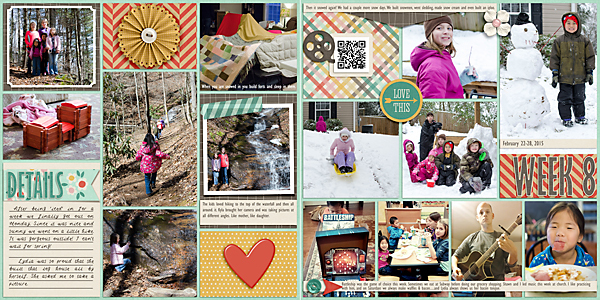 Scrap those photos, or at least look through them at the end of the week!